As you know, I’m not one for complicated recipes unless I get possessed by some kind of cooking demon which tends to happen only rarely. I like to eat the same boring foods over and over again and also take as little time as possible making them. Egg cups are just one of those foods. 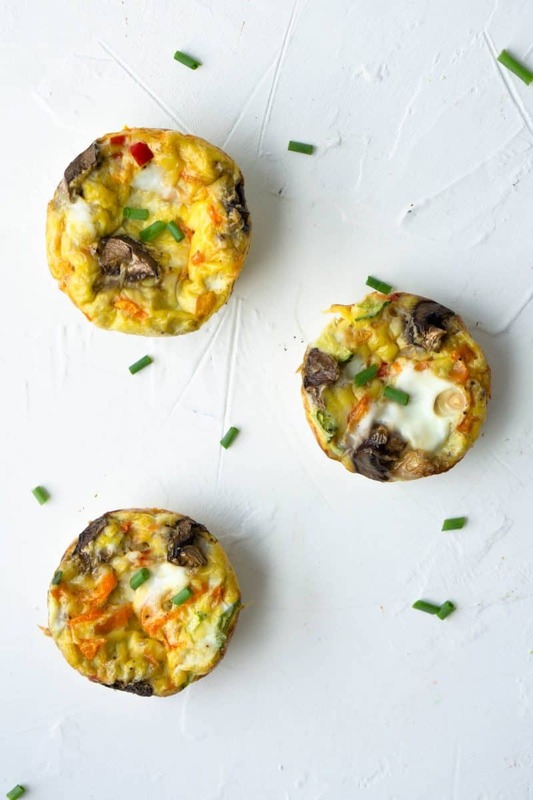 All you do is chop up some veggies, toss them in a pan with eggs, and bake until they’re done. You can make a bunch ahead of time so that you’re able to just pop them out and reheat them as snacks or part of a well rounded meal. For this recipe I used a mix of peppers, mushrooms, and a random cucumber, but the options are really endless. It’s also a good thing that I order eggs 60 at a time from Costco because I easily had 12 to use in this recipe. 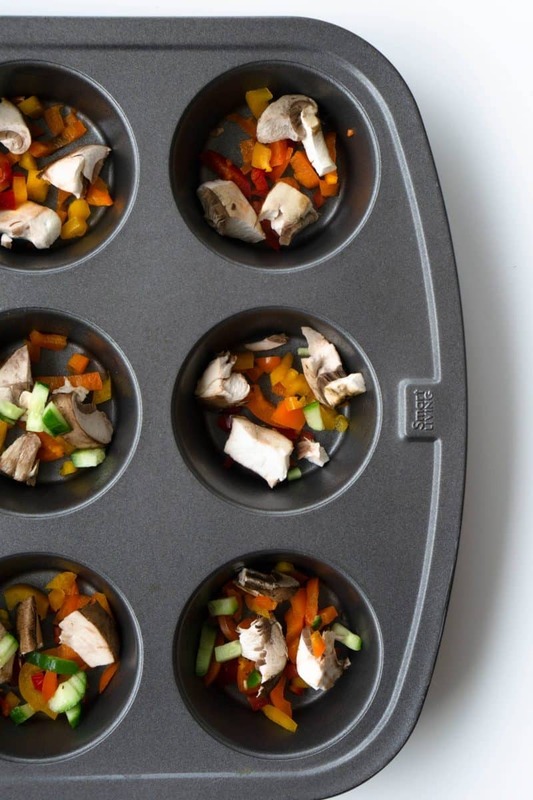 (Note: if you don’t want to make 12 at a time because you have a small muffin tin or you won’t eat them by the handful like I do, just make 6 at a time!). 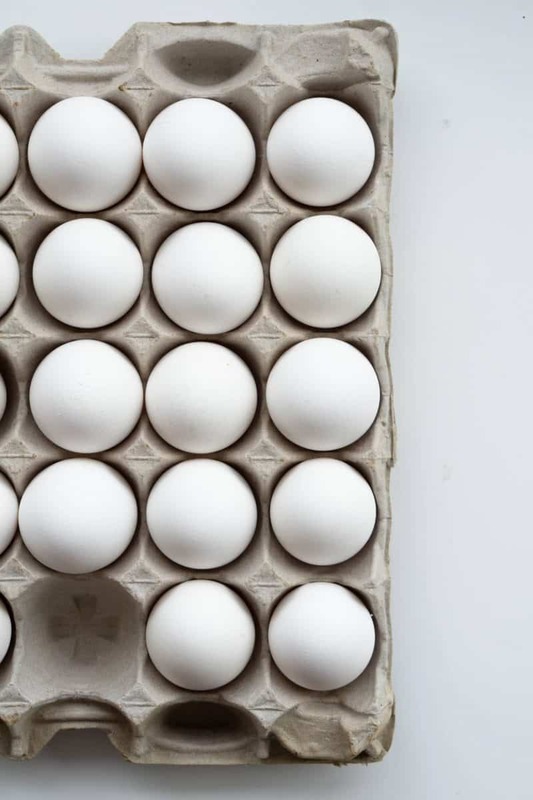 I’m also not a milk-in-eggs person, but if you are, feel free to add a little to the recipe for creamier eggs. The hardest part was chopping the peppers, which realistically took no time at all and I’m just whining about it for no reason. I simply took the mushrooms and tore them w my hands to add a few to each muffin tin. Preheat the oven to 350 degrees. 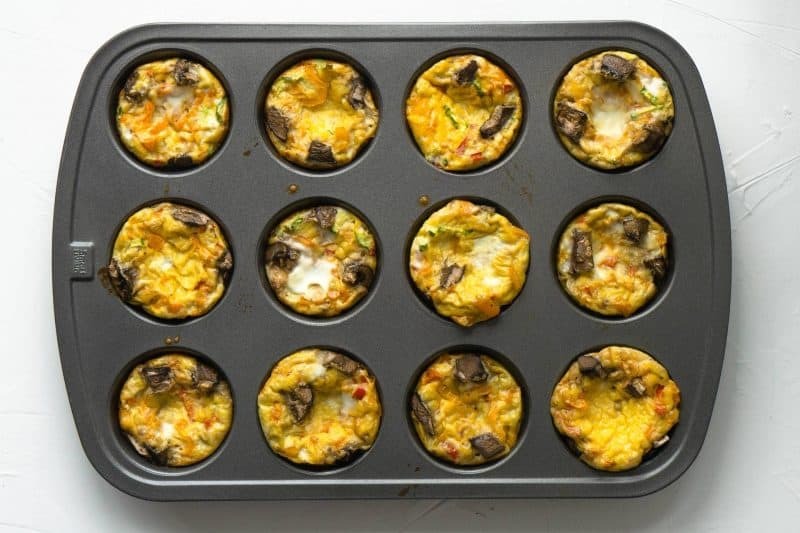 Spray a muffin tin with cooking spray to ensure that the eggs do not stick to the tin. 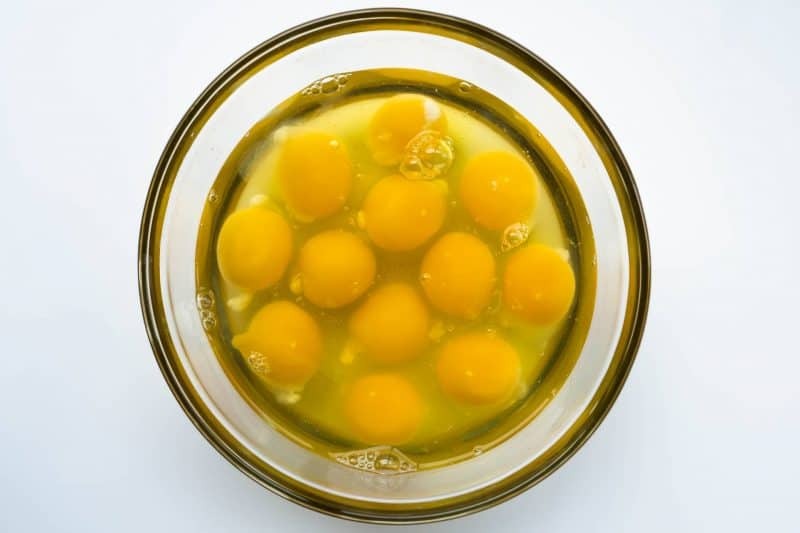 In a medium bowl, whisk together 12 eggs, salt, and pepper. 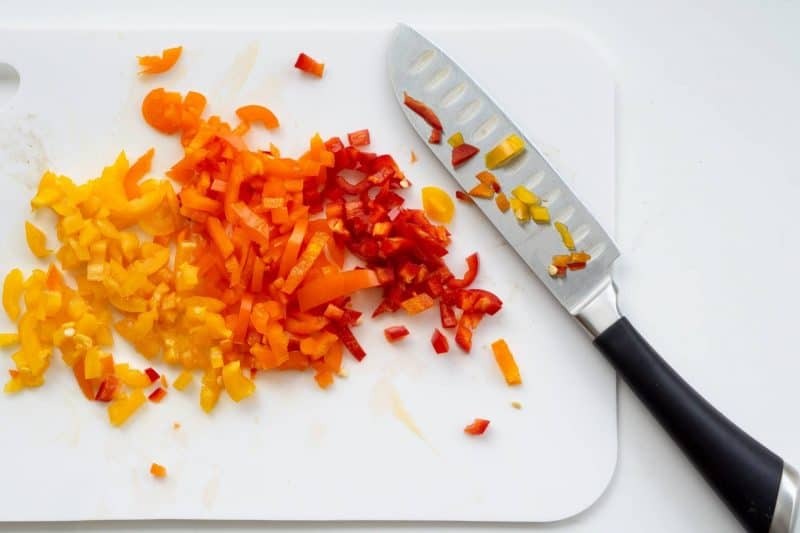 Distribute the peppers and mushrooms evenly in each tin. Pour the mixed eggs over the veggies and fill each about 3/4 of the way in give the cups room to bake and rise. Run a knife along each section to remove the cups. What are some of your favorite healthy snacks? Here are some quick and easy egg cups to try next! Oh man I forgot I had some of those — next time!! I can totally relate. I am also not a fan of complicated recipes. These egg cups look delicious. This is my first time to make one and I am so excited. Thank you for this wonderful recipe.